Belgium recognized in an early stage the importance of Open Access. Many Belgian research organisations subscribed to the Berlin Declaration on Open Access in 2007, at a conference organised by DRIVER. This ambition was affirmed by the Brussels Declaration on Open Access, signed in 2012 by the Belgian, Flemish and French Community ministers of research at a conference organised by OpenAIRE. The declaration makes Open Access the default in circulating the results of Belgian academic and scientific research. An Open Access provision has been adopted in the Belgian law in Sep. 2018. This law gives authors the right to make scholarly publications available in open access if the publication is a result of research funded by public funds for at least 50%, with a maximum embargo period of 6 months for STM and 12 months for SSH. The ‘Open Access Decree’ of the Wallonia-Brussels Federation consolidates the deposit policy of the Universities, stipulating that all scientific articles subsidized by public funds must be deposited in an institutional directory. 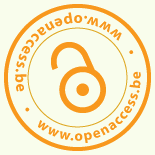 At BELSPO, there is an Open Access Mandate draft being designed – as these need to be negotiated with all the institutions, the final mandate has not been put in place yet, but it is expected to accompany the establishment of the ORFEO open access repository, one of the priorities of the Belgian federal science policy. According to the general regulation of the Research Foundation-Flanders (FWO), it is mandatory to make publications resulting from FWO funded research publicly available in a repository after maximum 1 year. Open Access ‘Gold’ is optional, for which the FWO funded researchers can make use of the consumables or bench fees that are part of their funding. The main host institutions, i.e. the Flemish universities, have repositories in place to facilitate this measure. FWO demands that researchers ensure that all data relating to their research are stored securely and sustainably, taking into account the specific characteristics of the discipline and the nature of the research. To stimulate exchange of good practices and expertise a working group on research data management has been established within the Flemish Interuniversity Council (VLIR). The F.R.S.-FNRS has issued a regulation on the implementation of the policy of Open Access to scientific publications resulting from research programmes supported by the F.R.S.-FNRS and Associated Funds, which is in force since 30/06/2013. They mandate depositing in an open access repository. There is a limit set to 500€/article to claim the costs of gold OA publishing. In December 2013, the European Commission launched Horizon 2020, the successor of the FP7 funding programme and its biggest research and innovation framework programme ever , with a 7 year budget worth nearly €80 billion. As an extension of the successful Open Access Pilot in FP7, Open Access will now be mandatory for all research publications that result from H2020-funded projects. For open access publishing, researchers can publish in open access journals, or in journals that sell subscriptions and also offer the possibility of making individual articles openly accessible (hybrid journals).Where the case, the Author Processing Charges (APCs) incurred by beneficiaries are eligible for reimbursement during the duration of the action. For APCs incurred after the end of their grant agreement, a mechanism for paying some of these costs will be piloted. In the case of ‘Gold’ open access, open access must be granted at the latest on publication. For self-archiving, researchers can deposit the final peer-reviewed manuscript in a repository of their choice. In this case, they must ensure open access to the publication or within the limits specified above. In the case of ‘Green’ open access, open access must be granted within 6 months of publication for STEM, or 12 for publications in SSH. Commission policy on open research data in future Framework Programmes. The ERC supports the principle of open access to the published output of research as a fundamental part of its mission. • strongly encourages ERC funded researchers to use discipline-specific repositories for their publications. A list of recommended repositories is provided in Appendix 1. If there is no appropriate discipline specific repository, researchers should make their publications available in institutional repositories or in centralized ones, such as Zenodo. • encourages Host Institutions to cover open access fees of any research publications that are supported in whole, or in part, by ERC funding, which arise in the period up to 24 months after the end of the project. The European Research Council also supports the basic principle of Open Access to research data. It therefore recommends to all its funded researchers that they follow best practice by retaining files of all the research data they have used during the course of their work, and that they be prepared to share this data with other researchers whenever it is not bound by copyright restrictions, by confidentiality agreements, or by contractual clauses.